So it’s late February again. Grey, rainy, cold. The rush of the holidays is over and summer seems light years away. Year after year I find myself wondering how to handle this lull. I found myself at a small local bead show just a week ago and found some very fun inspiration. Paper beads. Light weight, colorful, fun shapes and handmade. I was seeing lots of possibilities before I even completed the purchases! I created colorful and fun bead mixes in shades of yellow/pink/orange, blue/yellow/red/green and lavender/pink/aqua. 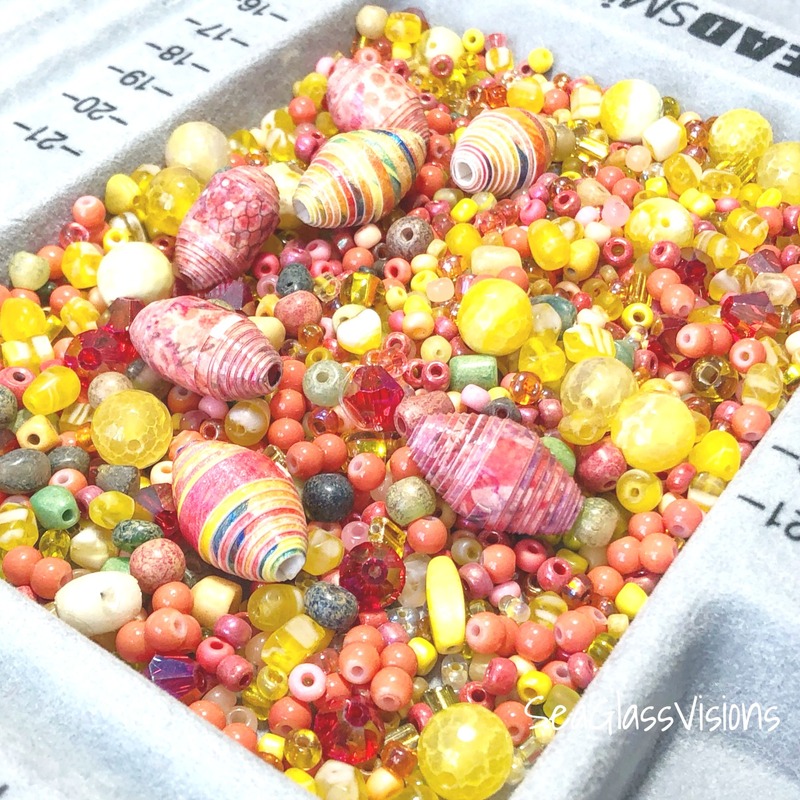 Each mix has lots of different shaped beads in coordinating colors. I already had fun three strand bracelet connectors so I was off and running! These are just a few of the beautiful sea glass and paper bead bracelets I have created . 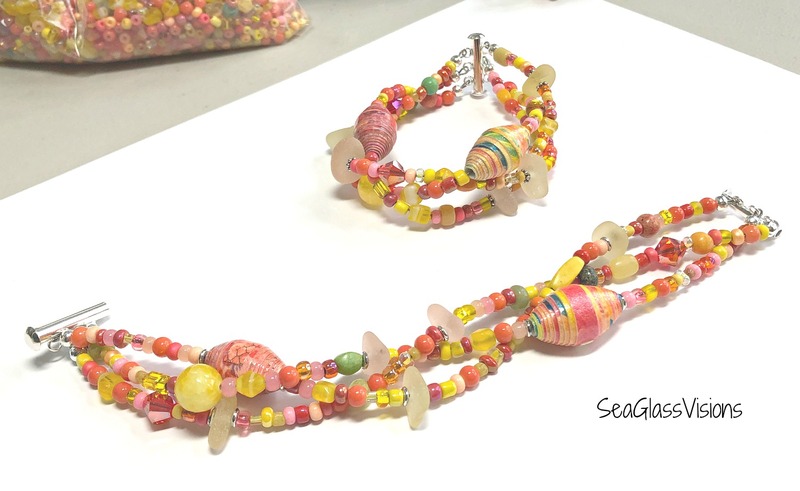 This mix includes yellow and pink sea glass. I am so excited about these colors and looking forward to Spring! It’s been a very long time since I’ve posted on this blog. Even with me focusing more on my Sea Glass Visions Facebook page and Etsy shop and creating jewelry there still doesn’t seem to be enough time. A lot has been going on. This past winter I took classes in silver smithing with Jen Soderberg Straub at Mad Tom Studios in East Dorset, Vermont. I was able to create three pieces during these classes, the final one with a piece of sea glass. I hope to take more classes this coming winter. Right now due to lack of space at my home studio (family room) I don’t plan to offer custom sterling designs, but I hope to be able to someday! Since May of this year I have started selling in a new consignment shop, Side Street Framers & Art Gallery in Pasadena, Maryland. 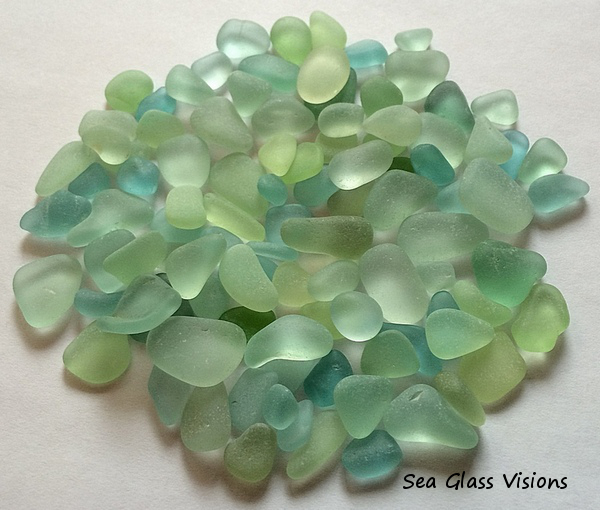 I’m particularly excited about this as I am selling my beautiful jewelry quality sea glass on sterling silver as “Sea Glass Visions by Cathy Kelly”. Sea Glass Visions Jewelry & Crafts on Etsy .